Long before dubstep, drum ‘n’ bass, trip-hop or even hip-hop were invented, there was legendary Jamaican producer Lee Scratch Perry. And while he may not have directly given birth to those musical genres, it’s a safe bet that they might not have ever existed had it not been for his early audio experiments. Born Rainford Hugh Perry in the tiny Jamaica town of Kendal in 1936, Perry rose from lowly studio gopher for respected record label honchos Clement Coxsone Dodd and Joe Gibbs to become the most respected producer in the business. He first made a name for himself working sound systems (trucks loaded with generators, turntables and speakers, which would rock lively street parties), but eventually cut over 30 rocksteady and ska records for the influential Studio One label. 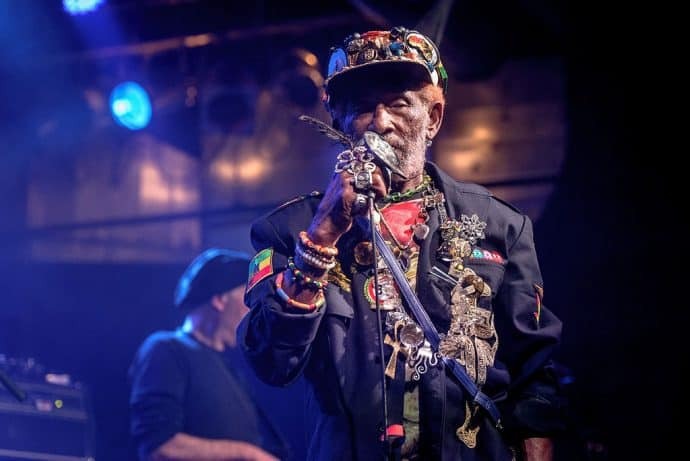 It was Lee Scratch Perry who nurtured the developing talents of Bob Marley & the Wailers and recorded several of their most influential early albums (including S0ul Rebels and Soul Revolution) before a misunderstanding drove them apart. He also invented the sound known as dub by removing vocals from reggae records, remixing them to focus on the beat and toasting over the top in a chatty style that boasted of his prowess, gave shout-outs to his friends and dissed his competitors. Sound familiar? If you love hip-hop, it should!